Really good post! 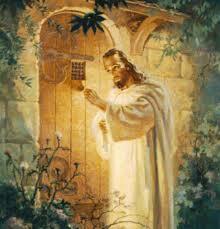 It is amazing that God himself still knocks, when he could just blast the door open. Sometimes I can get frustrated at “why doesn’t God just change me?” But he wants to be asked in first. We have to open the door. Very well written! The idea here is that we can sometimes see God opening a door to another world, but it is still up to us to go through it. Not everybody follows where God leads, for many reasons. Uncertainty, fear of the unknown, lack of faith, unwillingness to change, etc. If Dustin had not walked through the door to marrying Lisa, he never would have reaped the blessings God had in store. At least 7 of them to be sure!! I’m glad I did, too. 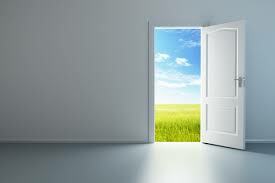 Although the article can be thought of as allowing Jesus to come to us from the “other world”, in the book, it is actually referring to a door opening that would bring a life of marriage to my beautiful bride into my life. I am glad I did that, too! I’m glad you did that 33 years ago!